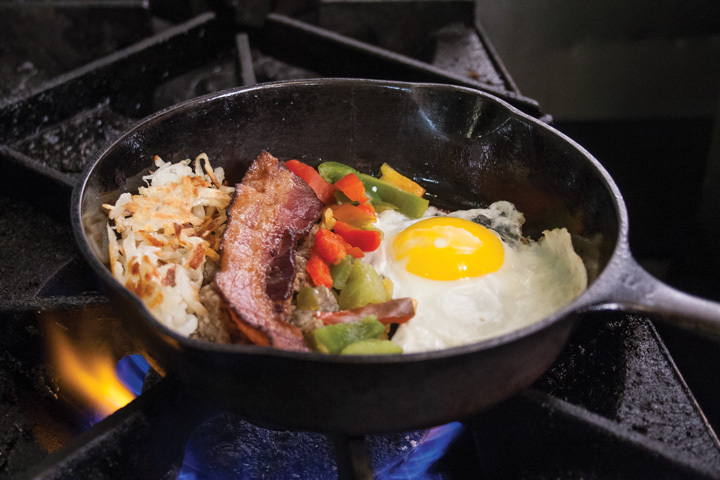 *Menu items may require modifications to meet your requirements, please ask your server. Thick slices of our delicious whole wheat or white bread. Available sprinkled with cinnamon and sugar. 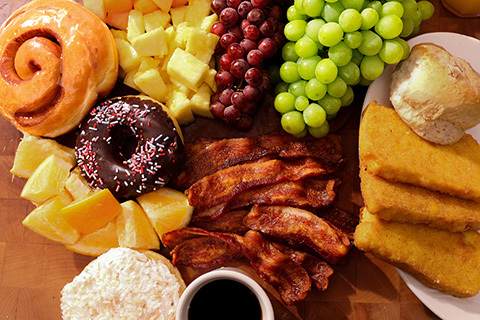 An abundant assortment of seasonal and tropical fruits served with a side of fat-free yogurt and a homemade muffin. 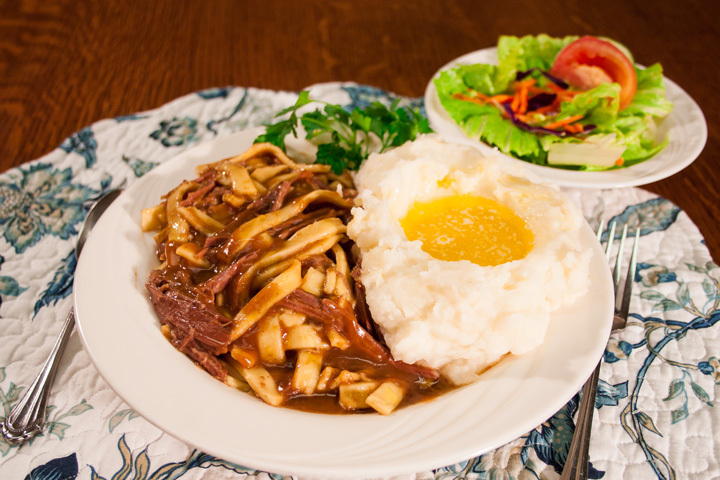 "Experience a traditional Amish meal just like we serve in our homes, with the selection of a buffet, brought to your table in bowls and platters." 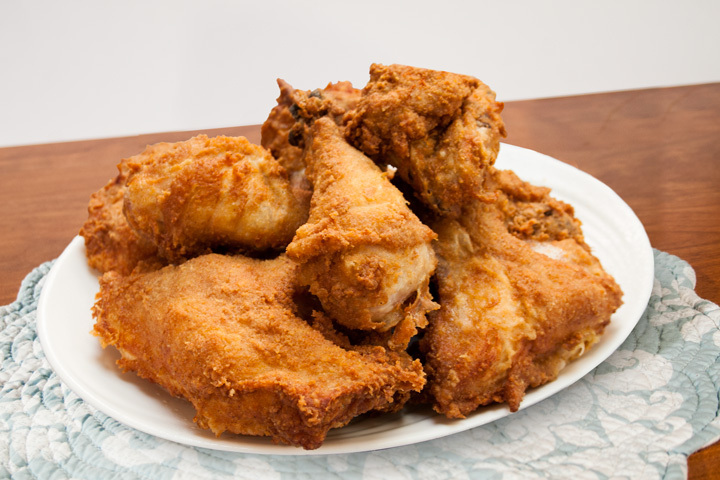 Tender roast beef, homemade meatloaf or turkey may be selected to accompany our famous fried chicken as your entrees. 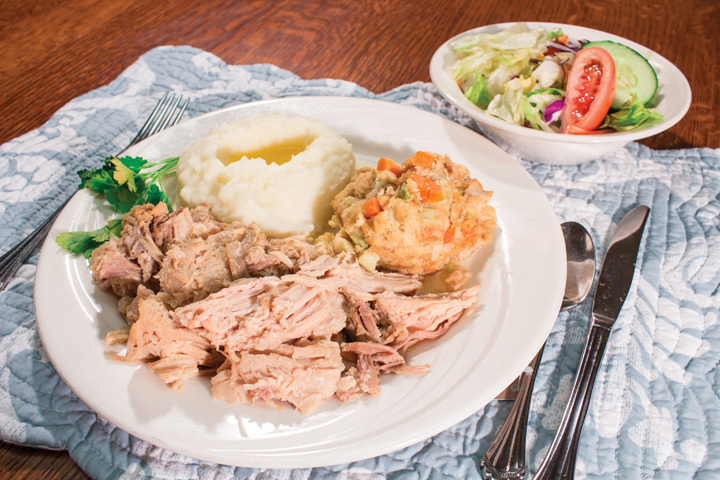 Your meal also includes real mashed potatoes, chicken dressing, gravy, vegetables, homemade bread and your choice of pie, bread pudding or ice cream and a beverage. 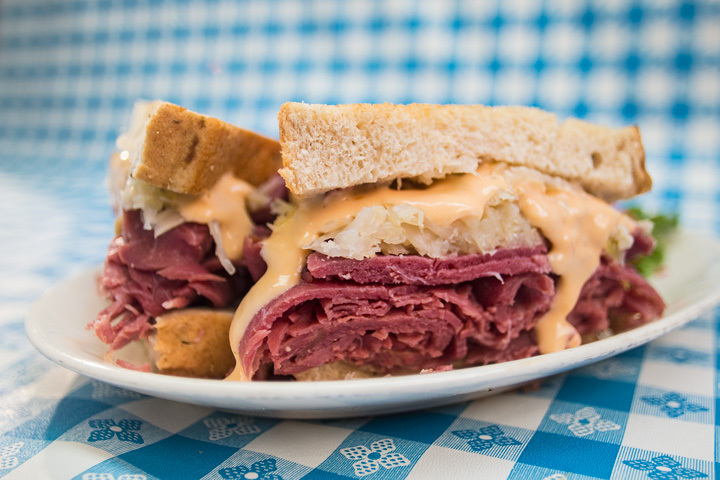 Please note: No carry-out with Family Style. 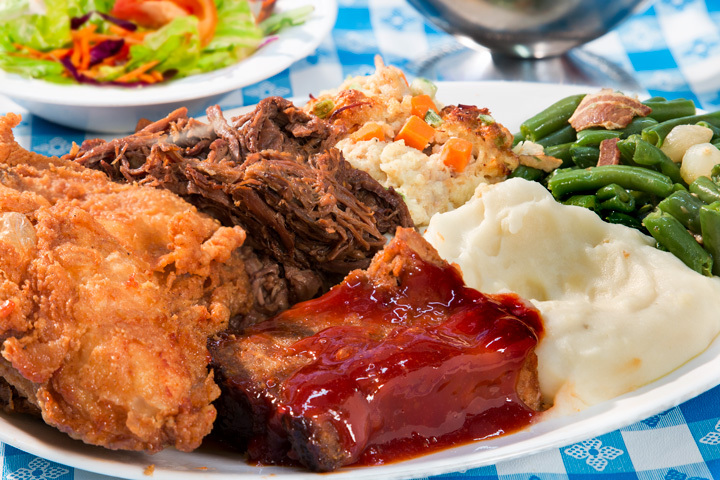 Guests ordering Family Style are requested to do so for the entire party. 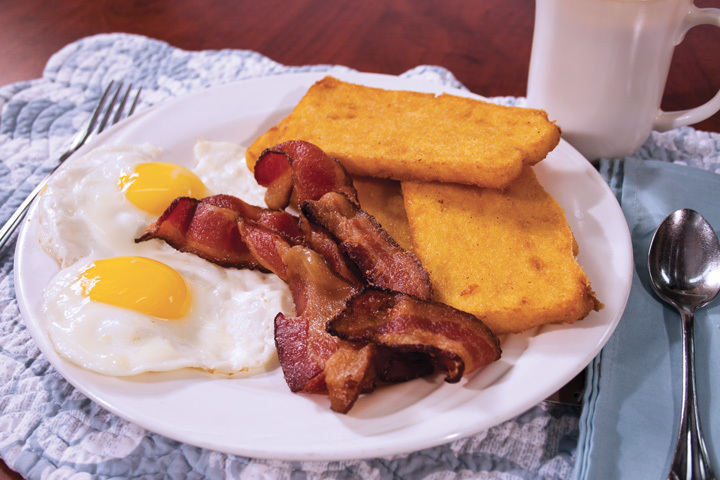 An incredible value and varied enough for every breakfast tastes. 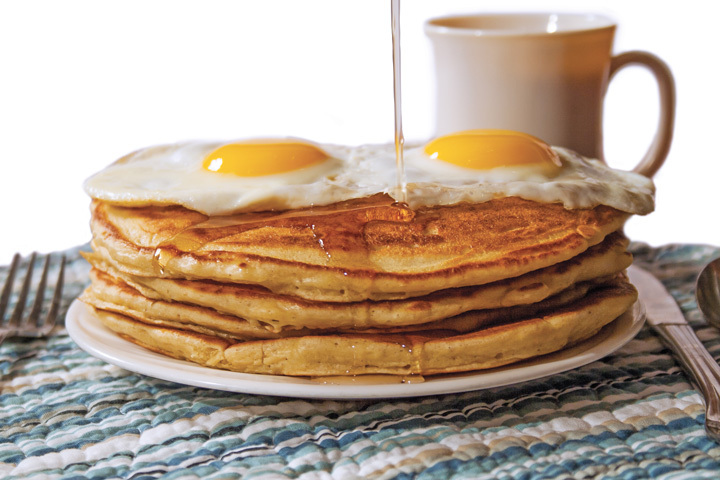 Includes: Eggs, Biscuits, Fresh Fruit, Bacon, Sausage, Gravy, Fruit Slush, Ham, Tomato Gravy, Breakfast Rolls, Sausage, Pancakes, Muffins, Home-fries, French Toast Sticks, Oatmeal, Cheese Sauce, Syrup, Mush. Come try our ALL NEW lunch and dinner buffet. 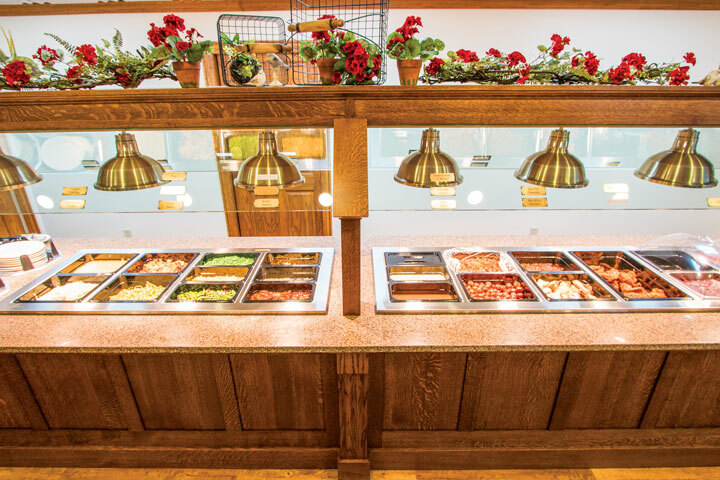 Choose between selections of our famous meats, a soup & salad bar, as well as a large dessert bar. 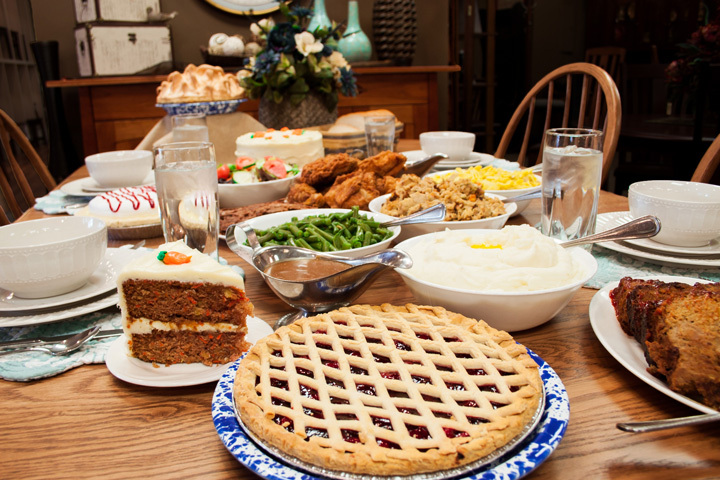 Many delicious made from scratch family recipes to choose from! 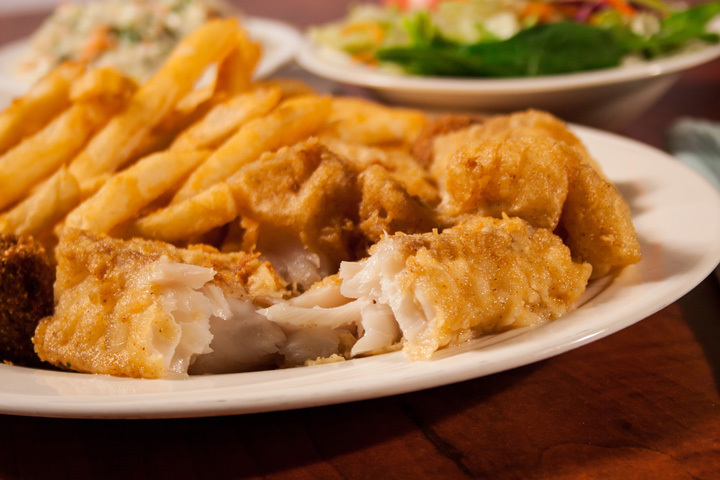 Premium Cod filets hand breaded and delicately seasoned, then cooked in pure canola oil, tender and flakey, served with fries, hush puppies and fresh coleslaw. Choose between Farmall Red and John Deere Green. 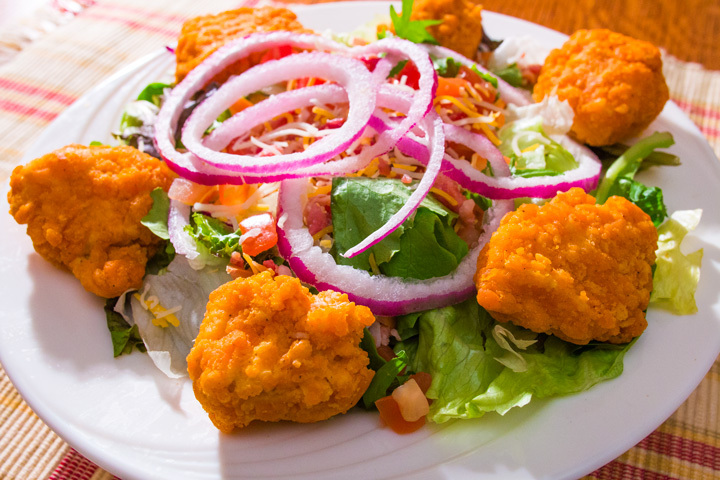 Order without chicken for a great vegetarian option! 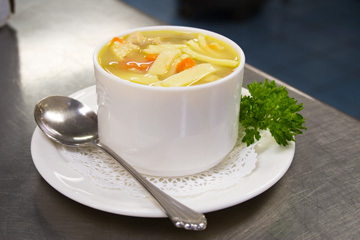 For many years you've loved our home-style recipe soups... each one made from the freshest ingredients, with just the right spices for your enjoyment. 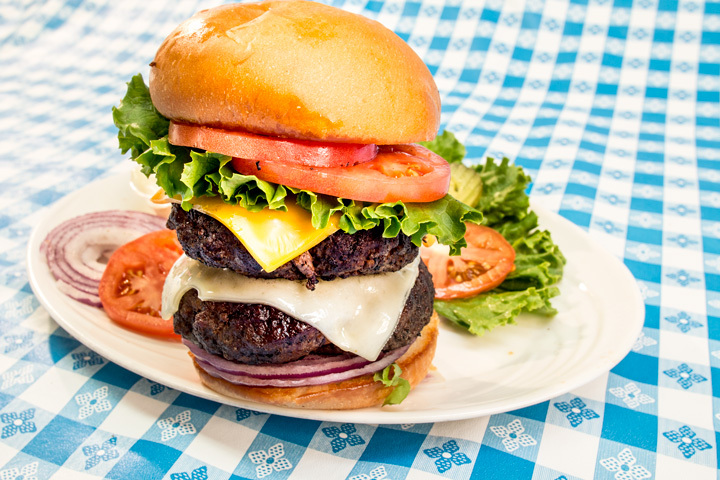 At the Blue Gate you can always count on fresh, quality food. 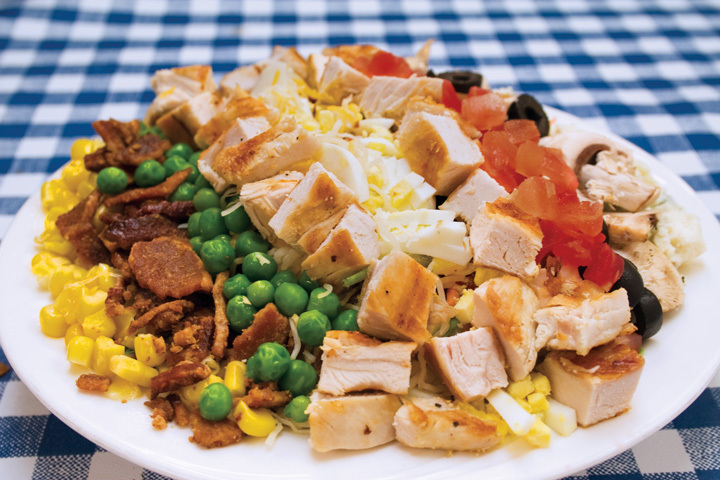 You may not know that a majority of our ingredients are grown right here in the Shipshewana area by local farmers! From the lettuce and tomatoes in your salad to the peaches in your pie, you'll find produce grown literally "down on the farm." 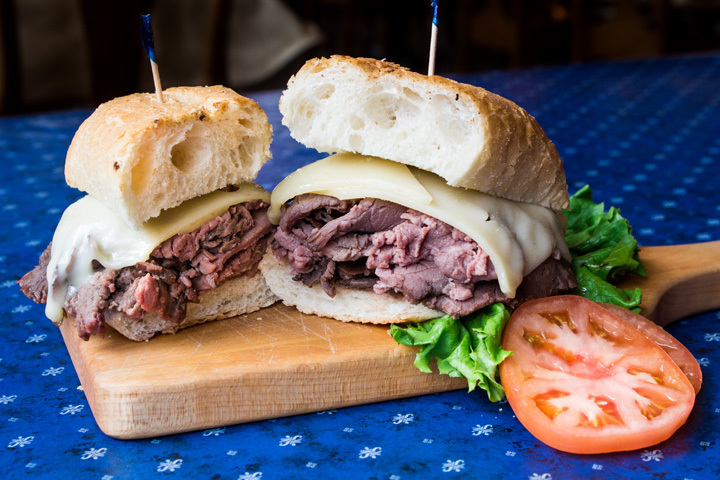 The produce isn't the only thing that we find locally; most of our delicious meats are from the area as well. 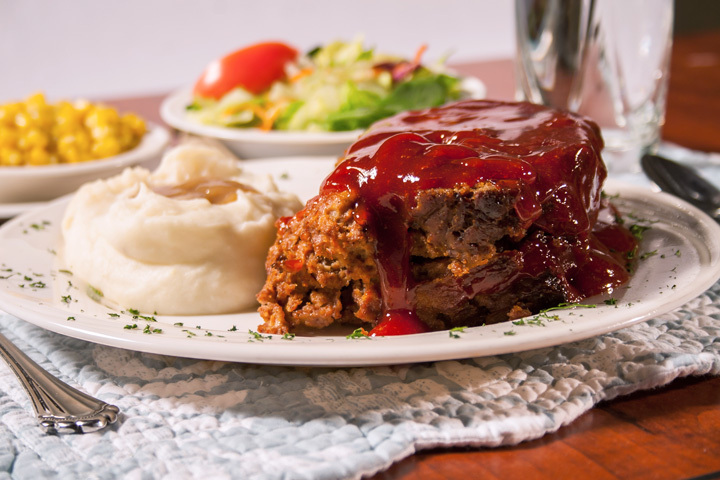 We want to provide the best for our customers, which includes antibiotic and hormone free ground beef (used in our favorite meatloaf), as well as locally smoked and cured ham and pork chops. 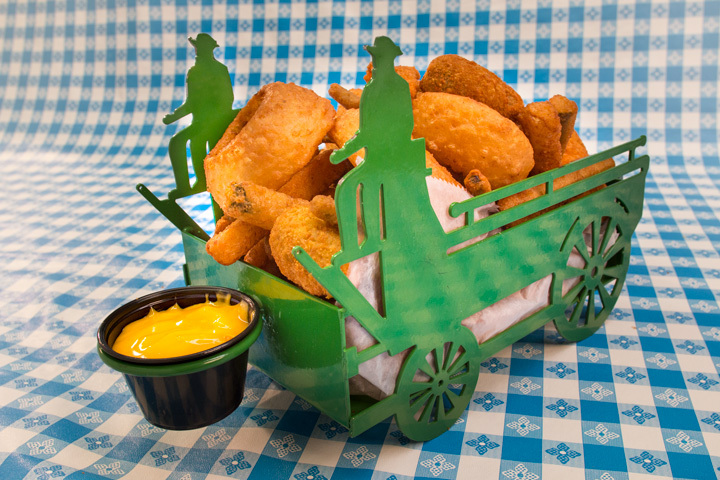 Not only is your meal coming straight from the farm, but we're also working on more MSG free items. 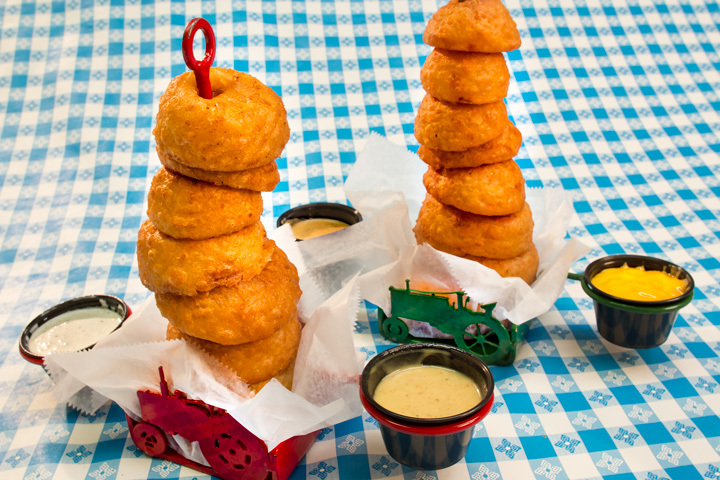 And for our gluten free customers, we continue to develop more menu items especially for you. 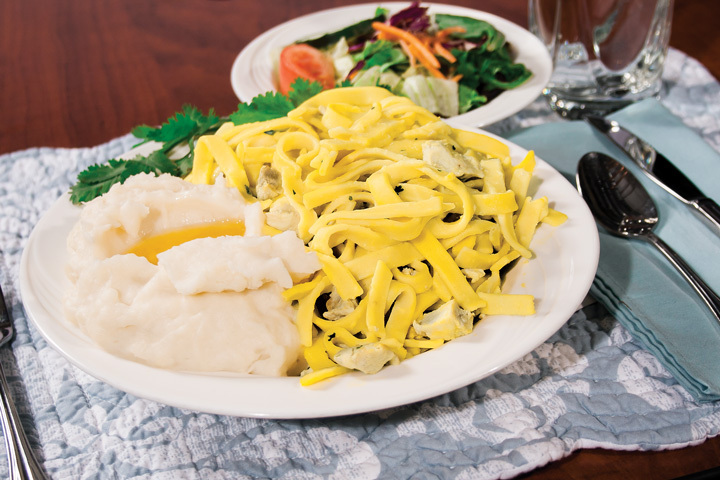 Ask your server to see our gluten free menu. 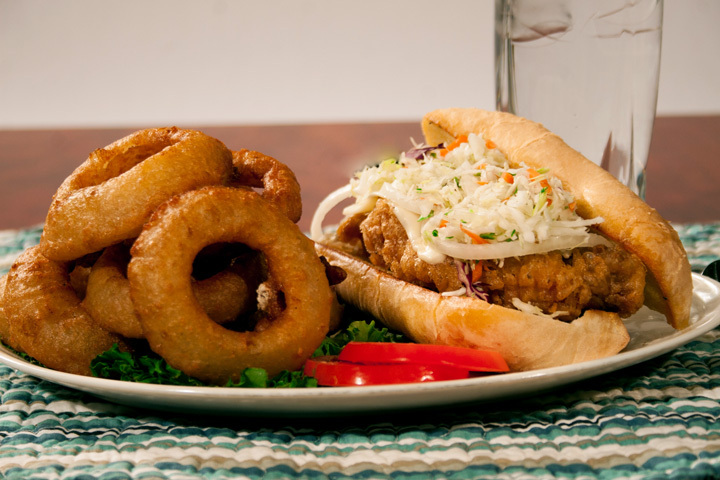 A sampling of our most popular menu items. 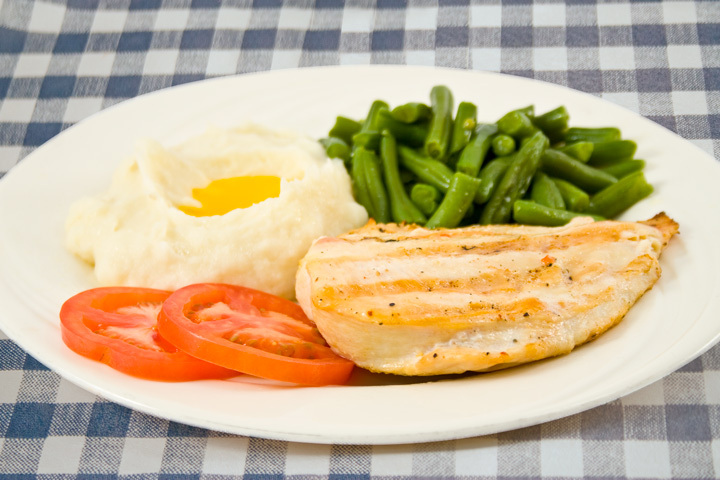 Features: chicken, meatloaf, roast beef, mashed potatoes, gravy, dressing, and a choice of corn, carrots, or green beans. 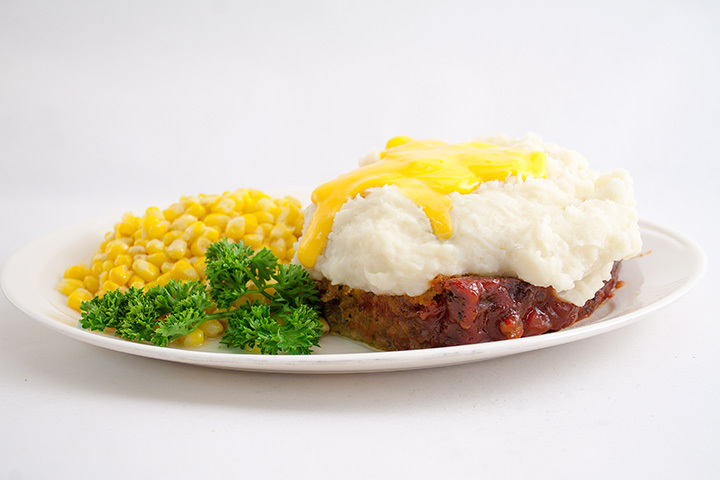 Our famous Blue Gate Meatloaf served with a generous helping of real mashed potatoes and smothered in a delicious blend of cheeses. 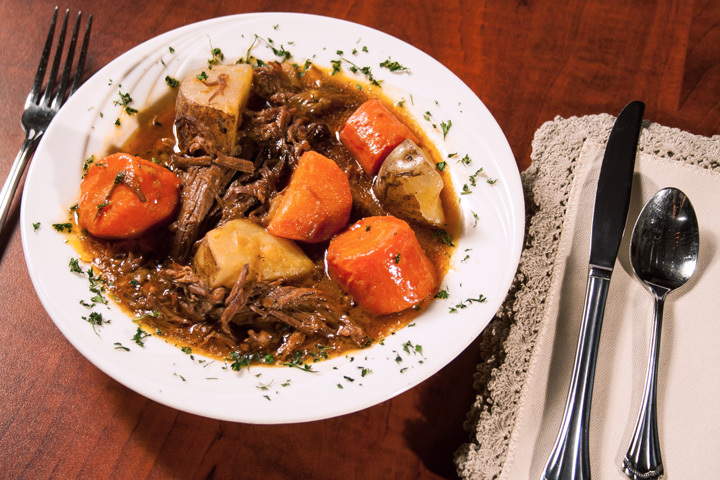 We prepare this using an old-fashioned Amish recipe. 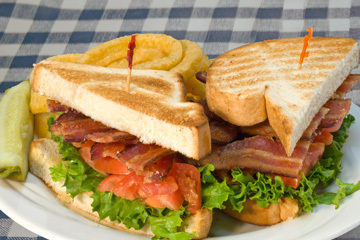 A generous helping of tasty bacon, crisp lettuce and fresh tomatoes on fresh toasted bread. 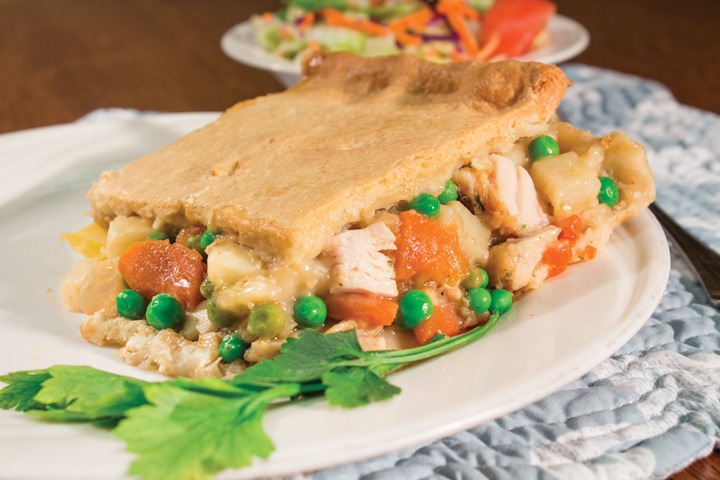 Try the pies that make us famous! They’re freshly made and baked to perfection. 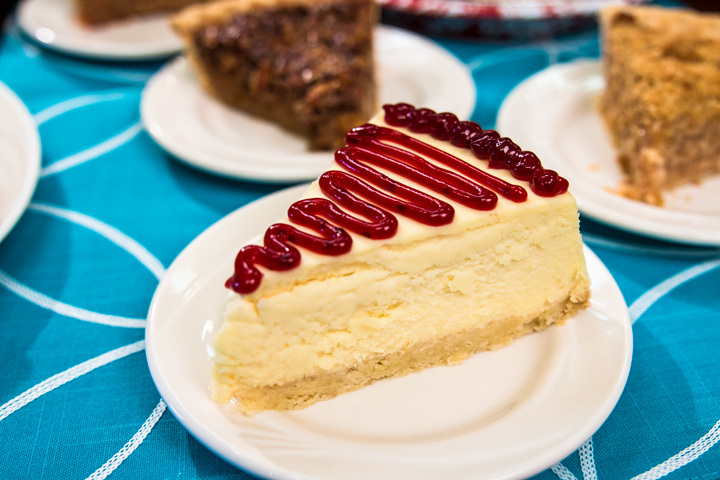 Choose a slice or take home a whole one. Sliced apples cooked in their own juices, spiced with cinnamon and baked to a bubbly perfection. 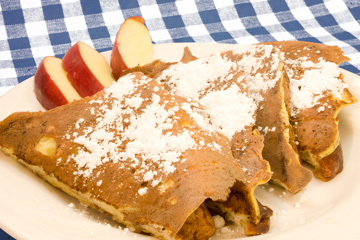 Fresh shredded apples covered in a glaze and topped with a cinnamon and sugar crumb topping. 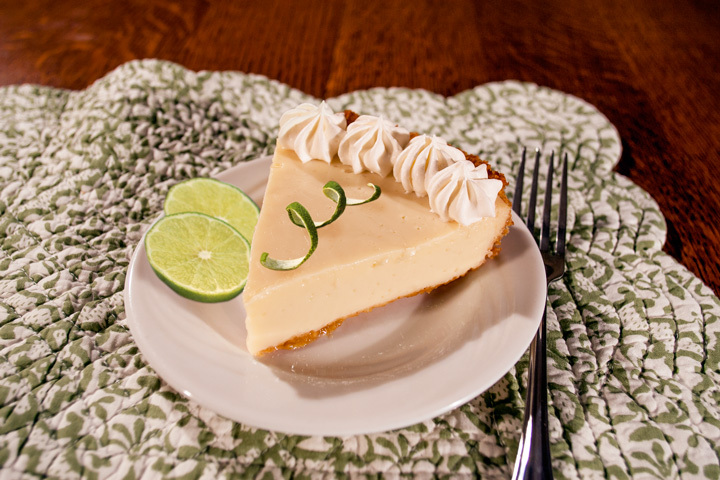 A billowy whipped-cream topping conceals a velvety banana custard in this dreamy pie favorite. Luscious ripe berries, cooked in our homemade filling overflow this lattice-crusted pie. Juicy freshly picked berries crowd this flavorful pie topped with whipped cream. An all time favorite... the custard is made from scratch recipe with caramelized sugar for that extra rich taste, like Grandma used to make. Delicious red, tart cherries, juicy with that old-fashioned flavor. Every fork-full of this pie says chocolate, chocolate, chocolate. Peanut butter crumbs layered with chocolate and vanilla custard pudding and topped with whipped cream, more peanut butter crumbs and chocolate sprinkles. This tried and true, old fashioned coconut cream pie. The finest coconut folded into a creamy vanilla pudding gives it a perfect coconut flair. This pie combines pecan and coconut, the ingredients everyone loves in its classic cousin 'the cake'. Now tastier than ever a creamy baked chocolate pie. Slightly tart, slightly sweet, this pie is topped with a light and airy meringue. Made with Real cream and Real vanilla... our classic custard! 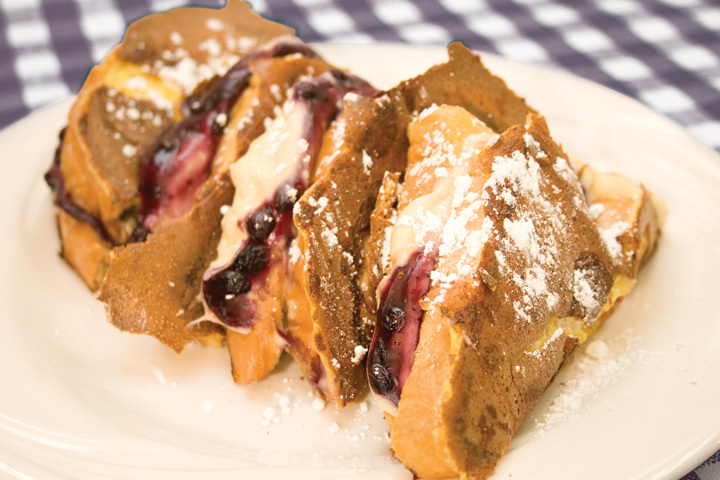 Old fashioned Amish favorite, made from scratch with butter, brown sugar and cream and baked to a golden perfection. This pie will melt in your mouth. 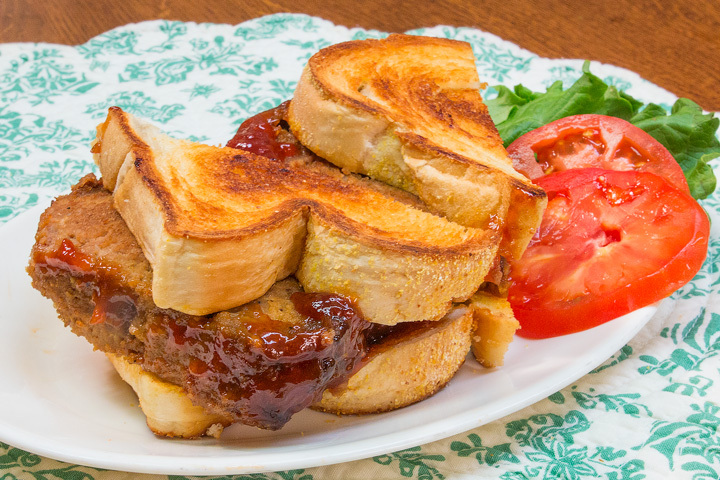 Lots of tender juicy peaches piled in a flaky crust. Peanut butter blended with confectioners sugar and layered with vanilla custard pudding topped with whipped cream and peanut butter crumbs. Good old-fashioned Pecan Pie. Plenty of buttery, caramelized pecan pieces go into the luscious filling. Light and creamy butterscotch filling over candied pecans and whipped cream topping. Cream cheese and sour cream folded together and layered with vanilla custard pudding and red raspberries in a light glaze, with a whipped cream topping. Our old fashioned cherry pie filling baked in the shell. Topped with a brown sugar, butter and oatmeal crumb topping. You'll think you're eating cobbler. 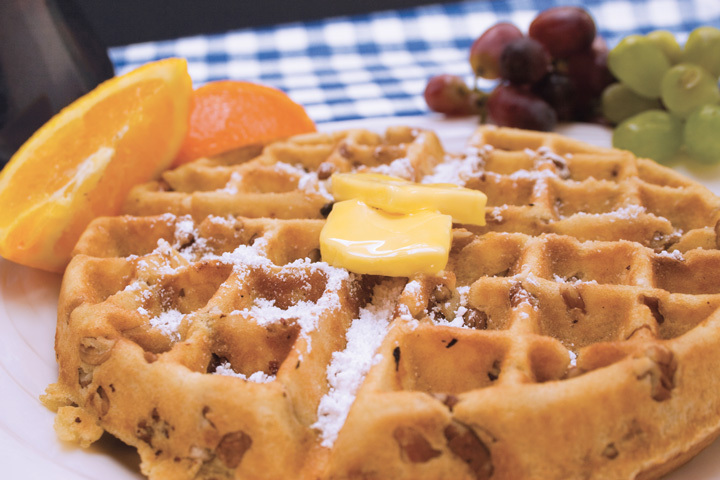 Fresh fruit and authentic ingredients just like Grandma's holiday pie steeped in tradition. Summer's sweetest peaches with a light glaze and mounded on a freshly baked crust. 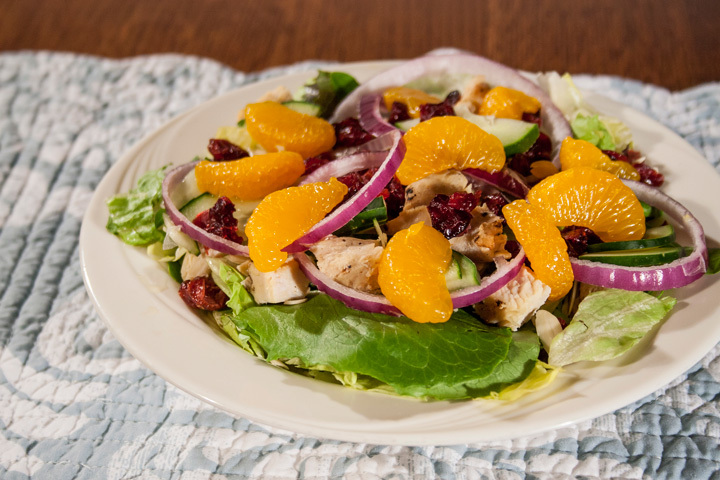 Homemade, flavorful and refreshing American favorite. 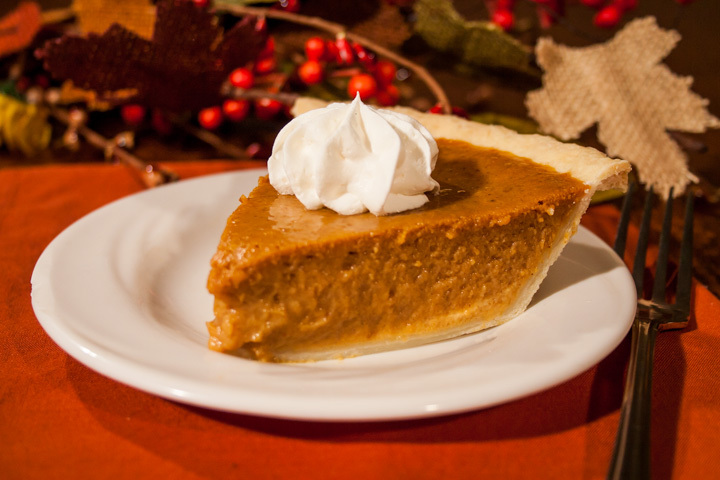 Pumpkin spice and everything nice have made this pie an American tradition. Classic and delicious strawberry rhubarb pie recipe. Sweet fresh strawberries paired with tart rhubarb. The taste of tart, refreshing rhubarb with a custard base is the perfect combination for a spring pie. Sweet ripe strawberries glisten under a light, flavorful glaze. 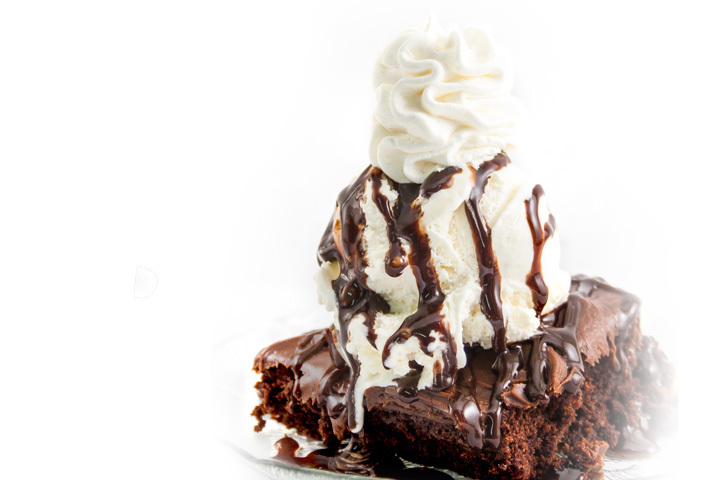 Delectable fudge brownie straight from the bakery warmed and then smothered in a warm velvety chocolate sauce and a generous scoop of vanilla ice cream. Warm, freshly baked apple dumpling served with a scoop of cinnamon ice cream and caramel sauce. 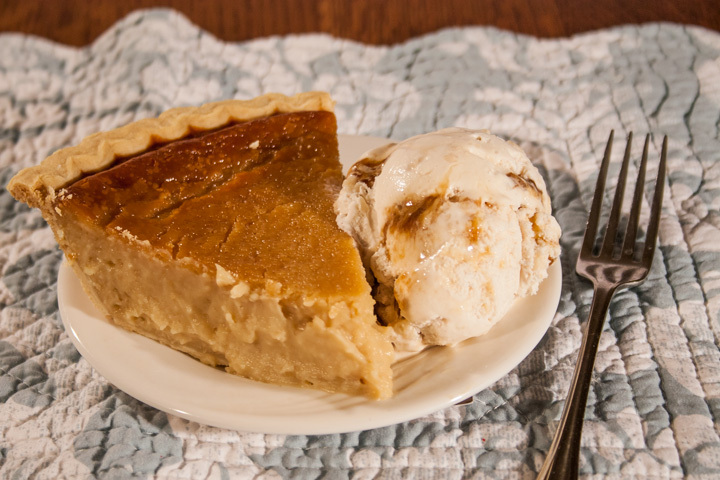 A slice of old-fashioned sugar cream pie warmed & served with cinnamon ice cream. Old-Fashioned bread pudding warmed and served with ice cream. Very moist and rich chocolate cake, a chocolate lover's dream. Made from scratch and topped with cream cheese icing. Made from scratch and with a hint of lemon zest.